Are you one of those folks who others talk about having a bad temper? Maybe you’re not and you find yourself getting incensed about current events and how others (or yourself) are being treated and struggle to get out of it without feeling like doing something destructive to others or yourself? If you identify with this last question, you may very well have a problem with survival rage. Survival rage tends to afflict people who see injustices in the world around them and get very angry about it. If they can’t do anything about it that is constructive, they will tend to wind up abusing substances, engaging in other addictive behaviors, taking out their rage on others who have nothing to do with what they’re angry about, or might wind up getting depressed. Those who suffer from plain old anger issues will just tend to react with anger to many different things, not the specific injustices they see around them. The current world situation is rife with potential to create survival rage in others, with all the disrespect and disingenuousness we live with every day. We hear about things in the news, on television, and on social media that can easily make us incensed. One thing to keep in mind is that feeling angry is a normal reaction to this type of thing, but it can wind up leading to unhealthy behaviors if it isn’t dealt with in a healthy manner. Lashing out at those who have nothing to do with creating the problem isn’t going to make anything any better. Neither is engaging in destructive acts like abusing alcohol and other drugs going to help. It just puts off dealing with the primary issue. One thing to seriously consider is limiting one’s intake of news and media to a degree that is not likely to make you feel so angry and stressed. The other thing is to seek treatment that will help you be more able to channel your energy into constructive action instead of destructive behaviors. One such treatment is found in Image Transformation Therapy, or ImTT for short. ImTT is a breathing and visualization technique that helps people clear out feelings and related images so they can be more functional and freer people. One of the newest focuses of ImTT is survival rage, and I’m excited this is something I can now treat. I have been working with people as a therapist for almost 10 years now, and have helped many people get over depression, anxiety, bipolar disorder, trauma, and addiction issues in my years of work. These are all conditions that can be made worse when you are angry, but if the only thing you suffer from is survival anger, then your situation can be made so much better by getting help. It usually isn’t as simple as that, but knowing survival anger is so treatable can only help. 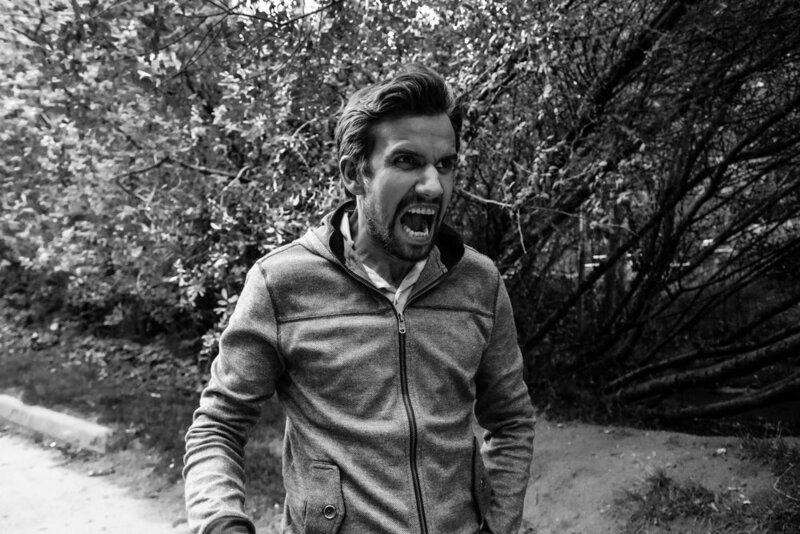 If you feel like you suffer from survival anger, or anger issues in general, I encourage you to call me at 512-374-0100 or email me at scott@scottkampschaeferlcsw.com to find out more about how I can help you with your problems. There is so much you are meant to do with your life that is good to be bogged down by feeling angry or survival rage. You owe it to yourself to get help. About the author: Scott Kampschaefer, LCSW is a private practice therapist in Austin, Texas. He has an extensive background in working with depression, anxiety, and bipolar disorder at a clinic for older adults with these disorders in Austin. He now works with adults and adolescents 16 and over in private practice. Click here to learn more about how Scott can help you with survival rage and anger.